Tando Creative is celebrating this week - third birthday already! 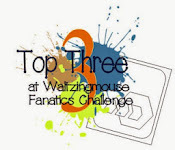 To celebrate, the design team has offered up a variety of projects based around the number three and there are tutorials for each of them if you want to have a go - check out the Tando Online Classes blog. I used three inchies for my project. The Tando chippie is a lovely weight to work with and makes a great base for jewellery as it's sturdy enough that the finished piece feels quite substantial. 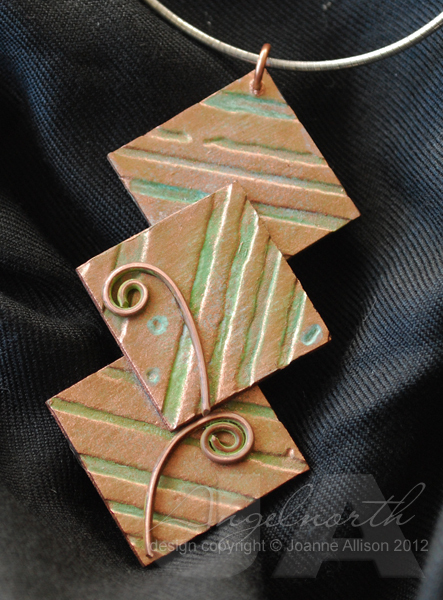 I've used an embossing folder and some VerDay paint to create a weathered copper finish for a pendant base. The paint is fun but you could use any technique you like to add interest to your inchies before gluing them together. I've done a short video tutorial for this project. The YouTube description area includes a step-by-step that you could print out if you would like to have a go and find printed reminders easier to work from - just click on the YouTube icon at the bottom right of the video preview to watch it over there rather than embedded here. I love it.I love the metallic finish. A great piece of jewellery and your video is really good. Gorgeous work Joanne, I love it. The metal effect is brilliant and the wire flourishes finish the piece off perfectly. Such a beautiful pendant. I love the elegant simplicity of it. Such a creative use of materials. It is wonderful! Thanks for a clear video to guide the completely new to 'metal effecting'chipboard people like me.